We live in the midst of a revolution in communication technologies that affects the way in which people feel, think, and behave. The media have become the space where power strategies are played out. In the current technological context mass communication goes beyond traditional media and includes the Internet and mobile communication. 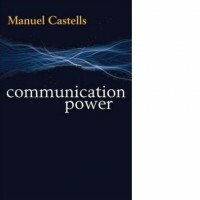 In this wide-ranging and powerful book, Manuel Castells analyses the transformation of the global media industry by this revolution in communication technologies. He argues that a new communication system, mass self-communication, has emerged, and power relationships have been profoundly modified by the emergence of this new communication environment. Created in the commons of the Internet this communication can be locally based, but globally connected. It is built through messaging, social networks sites, and blogging, and is now being used by the millions around the world who have access to the Internet. 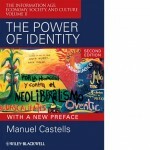 Drawing on a wide range of social and psychological theories, Castells presents original research on political processes and social movements, including the misinformation of the American public on the Iraq War, the global environmental movement to prevent climate change, the control of information in China and Russia, and Internet-based political campaigns, such as the Obama campaign in the United States. 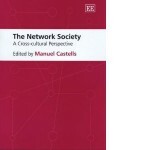 On the basis of these case studies he proposes a new theory of power in the information age based on the management of communication networks Justly celebrated for his analysis of the network society, Castells here builds on that work, offering a well grounded and immensely challenging picture of communication and power in the 21st century. 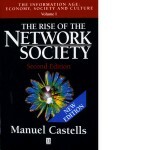 This is a book for anyone who wants to understand the dynamics and character of the modern world.